Bro commuter train depot in Stockholm is one of three depots run by Stockholm Public Transport (SL-trafiken) and ÅF’s contract comprises programming, commissioning and quality assurance of a new Siemens control system. Bro commuter train depot in Stockholm is one of three depots run by Greater Stockholm Public Transport (SL-trafiken). The depot now needs to increase capacity for train maintenance to keep pace with the rising level of train traffic in the Stockholm region. They have therefore built more tracks, new service and repair areas and also expanded areas for staff, storage and spare parts. 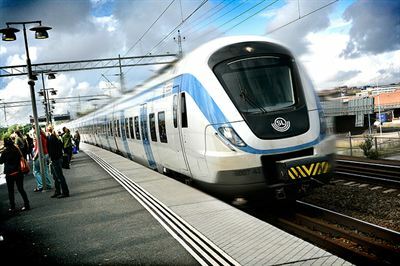 To satisfy requirements relating to personal safety when entering the track section, ÅF is also conducting a safety analysis of the locking system. The project was launched in March 2015 and ÅF’s assignment is expected to continue until May 2016. The client is Bravida.